TORONTO, December 2, 2018 – No matter the sport, whether it’s within a hockey rink, on a court or around a racing oval, records are meant to be set and then in due time, broken. Sometimes it takes years or even decades for an athlete to come along, tie the score, and then set the bar just a little bit higher. Wayne Gretzky still holds the record for the most goals scored in a hockey season, securing 92 goals in an 80-game season between 1981 and 1982. Meanwhile, basketball legend Wilt Chamberlain retains the record for the most points recorded in a basketball game. Although five decades have come and gone, no one has challenged Chamberlain’s 100-point game in the early ’60s between the Philadelphia Warriors and the New York Knicks. When it comes to horse racing, records have also been made. Sports icons such as Northern Dancer will forever be cemented in the minds of racing fans as the only Canadian horse (as it stands) to capture both the first jewel in the American Triple crown, the Kentucky Derby, as well as the Queen’s Plate. Their pilots are no different, making sure to not just win but set the bar higher with each new season they undertake. In 1991, a Canadian jockey by the name of Mickey Walls set the record for the most wins in a single season at Woodbine. At the young age of 17, Walls captured 221 wins during the track’s summer meet. Back then, the meet ran five days a week from late April to October. Walls would go onto secure a grand total of 286 wins that year, however, 65 of those wins came at Greenwood. Walls, now 44, remembers that year pretty vividly. “That year was just the perfect year. I never got hurt. I don’t think I had too many days off from riding or any infractions and I was just on the right horse at the right time – it seems like almost every day,” said Walls, who won the most stakes, 12 to be exact, in that same year. A star apprentice turned journeyman in ’91, Walls not surprisingly took home honours as both the champion bug rider and top jock that same year. Within his 12-year career span, the Canadian jock captured over 1,400 wins, including various stakes races such as the 1996 Breeders Stakes and Prince of Wales as well as the 1999 Queen’s Plate. In his opinion, Walls believes his record at Woodbine has withstood the test of time, close to three decades, because of the jockey colony. “I’m not saying quality of riders, but when I was riding back then it was a different riding colony. Nothing to take away from the riding colony now, but I’m going to say it was a bigger pool to swim in so to speak,” said Walls. 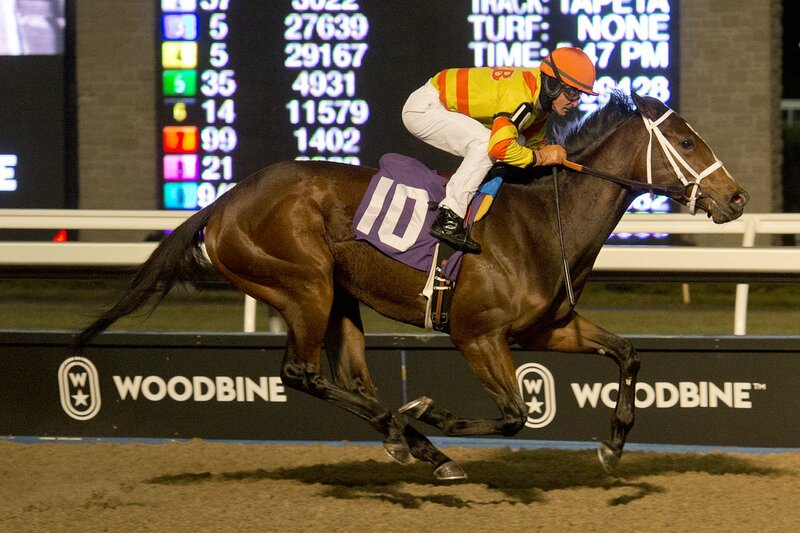 No doubt, Walls’ record has taunted some of Woodbine’s veteran jocks to finally chase it down. Notably, over the last few years, both Luis Contreras and Eurico Rosa Da Silva have steadily moved into the margin of 200 wins per season. However, it wasn’t until this season when a certain jockey with a lucky catchphrase decided to defy those stats and step his way into the record books. It comes without saying that Da Silva is no stranger to Woodbine’s winner’s circle. Riding at Woodbine over the last 14 years, Da Silva has slowly crept the ladder to the top tier of the jockey standings, where he steadfastly remains today. 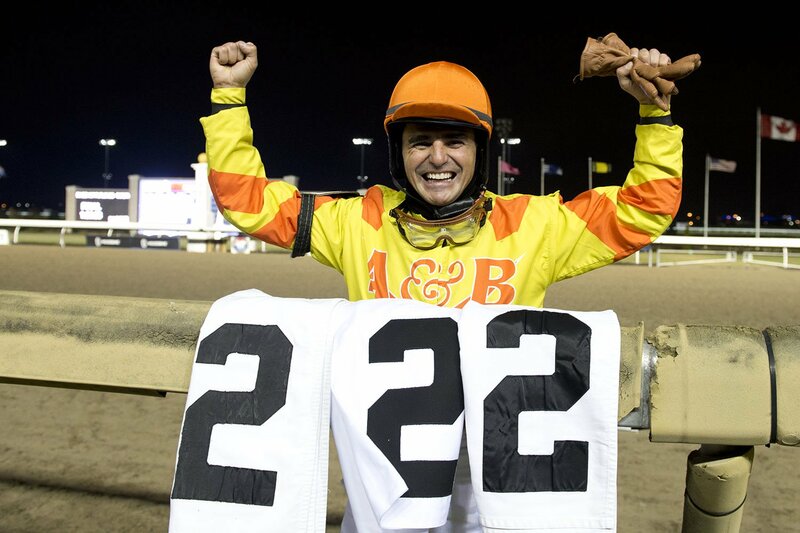 Riding in North America, specifically at Woodbine since 2004, Da Silva has won 229 stakes including 62 graded stakes. The Brazilian-born has also secured five Sovereign Awards for Outstanding Jockey over the last eight years. After every stakes win he is quick to chime, “Good Luck to Everybody,” which is then echoed fiercely by both fans and colleagues. While that simple catchphrase may denote his charisma and bustling positivity, Da Silva’s numbers showcase his continued dominance on the Canadian racing scene. Not surprisingly, the jock has been closing the margins to Walls’ record over the last three racing seasons at Woodbine. Slow but steady, but all the while building momentum towards turning another page in the sport’s history books. That’s the wonderful thing about sports; in a mere fraction of two minutes after a restless waiting period, a record is shattered, allowing someone else to step foot into yet another tier of success. Da Silva did just that on Saturday afternoon when he guided Sid Attard’s trainee Ami’s Link across the wire to land his 221st win of the 2018 racing season. In the 10th race, Da Silva surpassed the win record when he romped home victorious on Souciologist, a dark bay filly trained by Kevin Attard. At 43 years young, Da Silva is not defying odds or logic, but has developed a winning formula that has catapulted the jock onto the centre stage of Canada’s racing scene. Some could argue that his formula has something to do with his token catchphrase, but realistically how much does luck actually account for? Yes, luck may be a factor when a gap suddenly opens up at the top of the lane and your horse accelerates into the last several furlongs, easily hitting the wire free of a mounting charge. Riders may also get lucky when the wire comes up in the nick of time, just before a flurry of competitors thick on their heels can lay claim to the victory. So yes, if we believe it to be true, the phrase isn’t all that empty, but it for sure can’t be the only fuel in the gas tank attributed to the feats fought and won on the oval. Amassing 222 wins in one season, Da Silva attributes his success to team of key players. Da Silva’s riding campaign this year not only speaks to breaking a record, but more importantly the quality of those victories as well. Da Silva claimed 28 stakes victories, nine of which are graded stakes wins including five Grade 3 and four Grade 2 wins. Those big victories featured some of Woodbine’s fan favourites such as Horse of the Year Pink Lloyd, the ever-impressive Mr Havercamp, O’Kratos, Gamble’s Ghost and most recently Moonlit Promise. While success can be categorized and quantified by numbers, it’s important to note that it may look or feel different for everyone. Record-breaking aside, Da Silva of course has his own definition of success. This entry was posted in Woodbine Insider and tagged Eurico Rosa Da Silva, Horse Racing, Mickey Walls, Track Record, Woodbine. Bookmark the permalink.